In Peru (not sure of the other Southern American countries) all the taxi cabs run on LP gas! When we landed I saw the taxi we climbed in had a LP gas cylinder in the trunk, I assumed this was for the drivers’ house or for some other reason. I saw this again in another cab. I asked the guesthouse owner about this, because this was an odd occurrence, even for South America. Joop informed me that all the taxi cabs in Peru run on LP gas. The reason for this is that apparently it is cheaper to run vehicles on LP gas than on petrol or diesel. Joop also told me that he had a LP gas car in the eighties, and that this is old technology in Holland where he comes from. Google also revealed that almost all gas stations in the Netherlands have LP gas available. By the looks of things about every 3rd or so gas station here in Peru sells LP gas for cars. 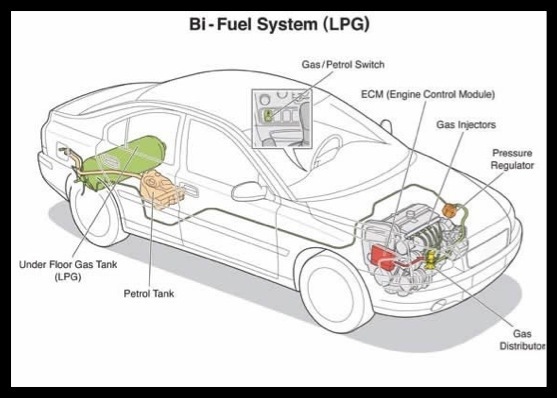 After some brief googling I found that LP gas cars are more commonly known as Autogas cars. These cars apparently run at a cost of 40% less than regular fuel. They also run smoother, run quieter, run with less CO2 emissions and the LP gas is also less harmful to the engine than petrol or diesel. According to Google, attempts have been made to bring this technology to South Africa but have been unsuccessful. Conversions can be made to existing cars which would include a special LP gas tank in the boot of the car. These cars would also have an additional set of injectors installed and will be able to run on both LP gas and petrol. Details as to why this technology has not taken over the world still needs to be investigated, but the fact that I have never even heard of this was quite shocking to me. I will do further research on this topic. This entry was posted in Peru, South America and tagged LP gas, LP gas cars in Peru. Bookmark the permalink. Wow !!! Baie interessant. !! The car lp gas technology was in South Africa in the 1970s your grandfather Lionel converted his V8 Chev Elcino to run on gas back then but changed back to petrol after a few years because at tha time it was cheaper to run on petrol. Wow, i was wondering if can convert my Volkswagen Golf into a LP gas powercar in Arizona.